If you’re a budget traveler looking for awesome, cheap places to stay in Guilin, you should be doing a happy dance right about now because there is simply no better place to find incredibly high-quality, affordable accommodation than Guilin. This is not only one of the most scenic cities in China, but it’s also got some of the best hostels and budget hotels in the country. Guilin really caters to tourists, and, as such, they’ve got budget accommodation for every style, from solo backpackers to families just looking to save a bit of money on their vacation. If you’re looking for an incredible room that won’t break the bank, this list of the best places to stay in Guilin on a budget is for you. There’s no need to go down the rabbit hole of searching for hours on booking sites trying to find just the right hotel in the right location for the best price. I’ve been there, it’s not a pretty place. 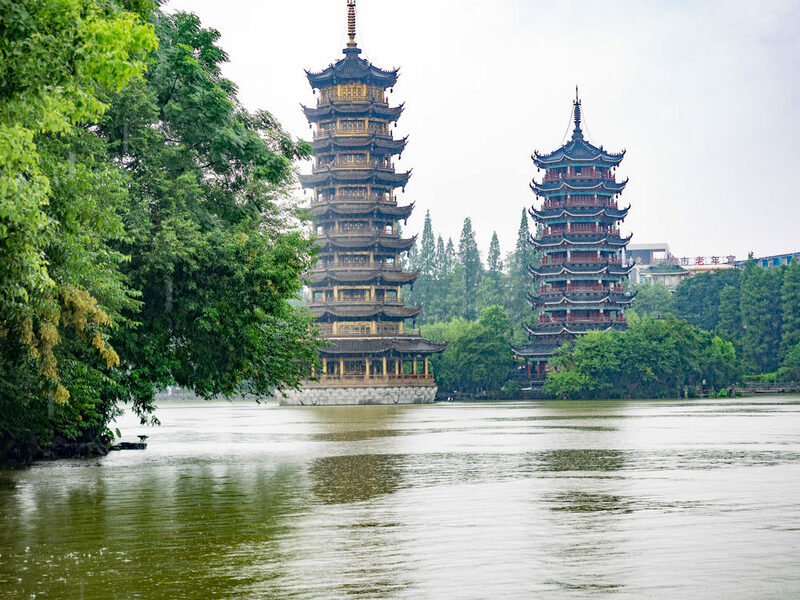 Luckily for you, we’ve been to Guilin multiple times over the years and have researched and personally tested these amazing spots so you don’t have to. Some details as to why this place is so gosh darn amazing include, an epic location right down the street from Zhengyang Pedestrian Street and a 10 minute walk from the Sun and Moon Pagodas, beautiful, clean rooms that are big and really tastefully decorated, amazing staff who speak great English and can literally help you plan your entire trip in Guilin if you need, free and fast wifi in the lobby and all the rooms, and an awesome cafe that serves up great Chinese and Western meals for breakfast, lunch and dinner, including, wait for it, real coffee in the mornings! I really can’t recommend this place enough, clearly. Prices start at $5 US Dollars for a dorm room and $17 USD for a private room. Click here to check the latest prices and availability at Ming Palace International Youth Hostel. 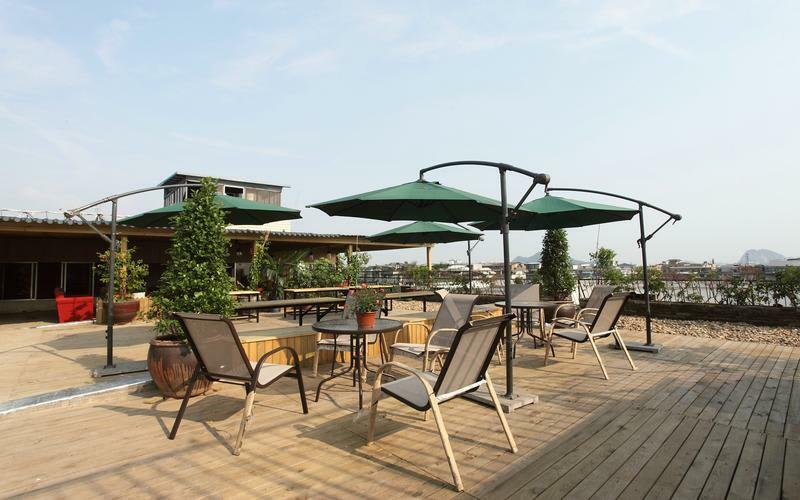 A sister hostel of the Ming Palace hostel mentioned above, Sky Palace Hostel is similar to its sister in vibe, but with the extra addition of a rooftop hangout area. Located just across the river from Seven Star Park, and just down the road from Zhengyang Pedestrian Street, staying at Sky Palace Hostel puts you right at the center of all the cool things to see in Guilin. What makes this hostel so awesome? Well, it starts with an amazing location just across the river from Seven Star Park and just a few minutes walk to both Zhengyang Pedestrian Street and the Sun and Moon Pagodas, has beautiful, clean, spacious rooms, free wifi throughout the entire hostel, awesome staff who are super helpful and speak great English, and, of course, that incredible rooftop with a bar, cafe, and incredible views over the city of Guilin. Prices start at $5 USD for a dorm and $14 USD for a private room. 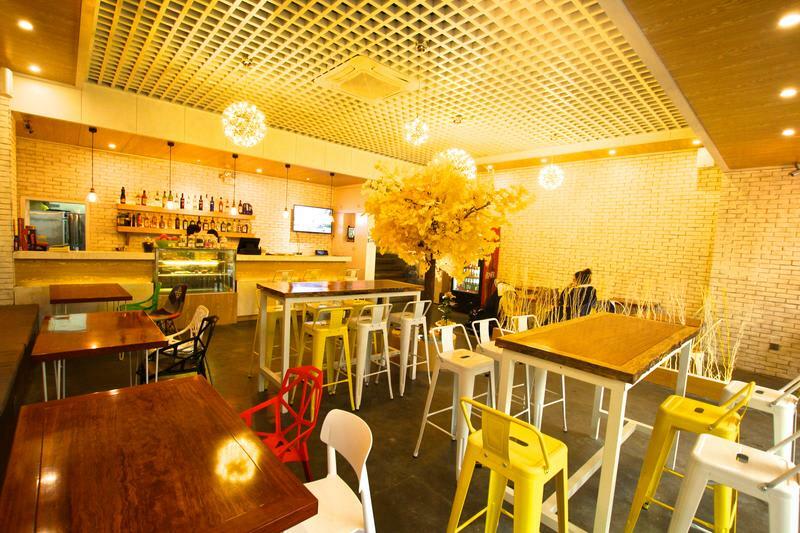 Click here to check the latest prices and availability at Sky Palace Hostel. 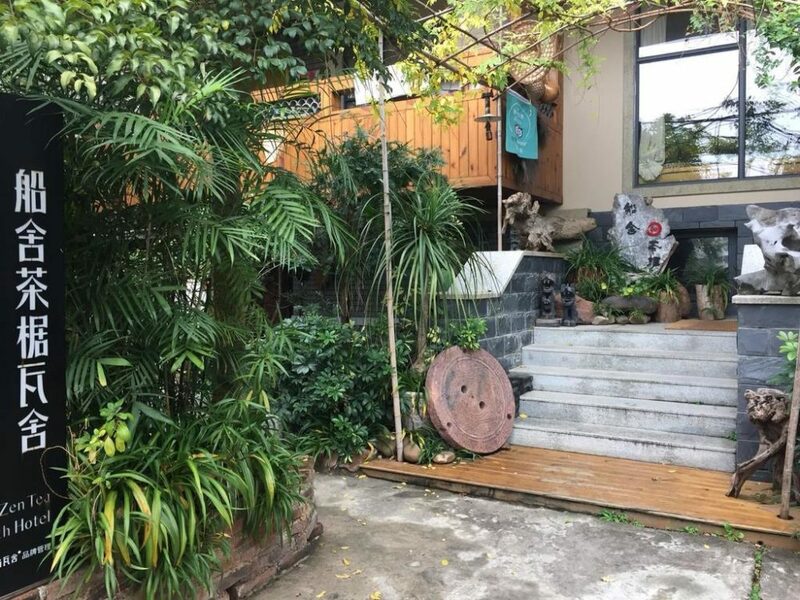 Located in the two rivers and four lakes area of Guilin, Ease Hostel is a great choice for travelers who want to stay in a bit more residential area of Guilin. If you’re looking for a hostel with all the amenities, this place is it. 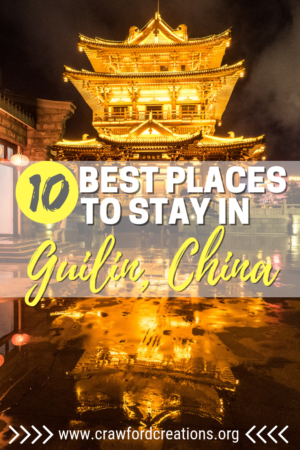 You could seriously never leave the hostel and have so much fun here (although you should definitely go out and explore because it’s Guilin, and Guilin is awesome). Ease Hostel’s list of awesome features includes a cafe and bar with an eating area, a library, a theater with a large screen TV and free movies, a pool table, free wifi throughout the entire hostel, free plug adapters if you need them, incredibly clean, spacious, and beautifully decorated rooms, a great atmosphere that makes it easy to meet fellow travelers, as well as super awesome and helpful staff that speak great English. Prices start at $4.5 USD for a dorm and $15 USD for a private room. Click here to check the latest prices and availability at Ease Hostel. 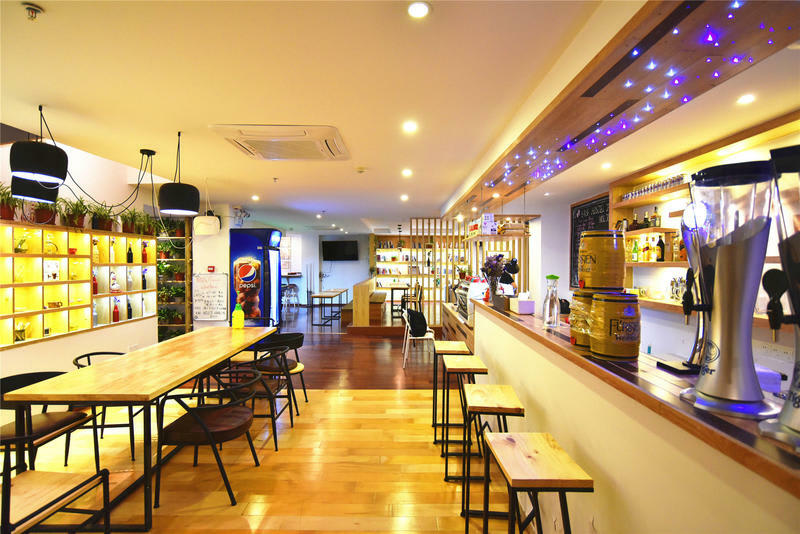 Located, as the name implies, right in the center of Guilin, Guilin Central Hostel is another one of those amazing hostels that looks more like a boutique hotel or inn than a hostel while keeping all those awesome community hostel vibes. It’s located just a little bit further down the river from Zhengyang Pedestrian Street and the Sun and Moon Pagoda Area than the Ming and Sky Palace Hostels, yet it’s still walkable in just a few minutes. At Guilin Central Hostel you’ll find clean, spacious rooms with comfy beds (a rarity in China), a bar and cafe with a nice seating area, free and fast wifi throughout the entire hostel, and some incredibly friendly, accommodating staff who speak great English. Prices start at $6.50 USD for a dorm and $25 USD for a private room. Click here to check the latest prices and availability at Guilin Central Hostel. Wada Hostel is one of the original backpacker hostels in Guilin. They’ve been around and they know what they’re doing. Wada Hostel has a great community atmosphere with tons of hangout areas and an awesome restaurant that serves up some great Western and Chinese food. The only downside to Wada Hostel is that it’s located a bit far from Guilin’s popular attractions, but it is located within walking distance of the train station which makes it a convenient spot to stay at the beginning or end of your trip if you’re taking the train out of the city. Even though Wada Hostel is a bit further out from the city center, it makes up for it in amenities and atmosphere. At Wada Hostel you’ll find an awesome restaurant and common area including an outdoor terrace, the most incredible, friendly staff that speak absolutely fluent English, free and fast wifi throughout the entire hostel with an included VPN so you can access Facebook, Google, etc. during your stay, a Nintendo Wii, a pool table, various board games, and awesome tours for all budgets. Prices start at $5 USD for a dorm and $17.50 for a private room. Click here to check the latest prices and availability at Wada Hostel. 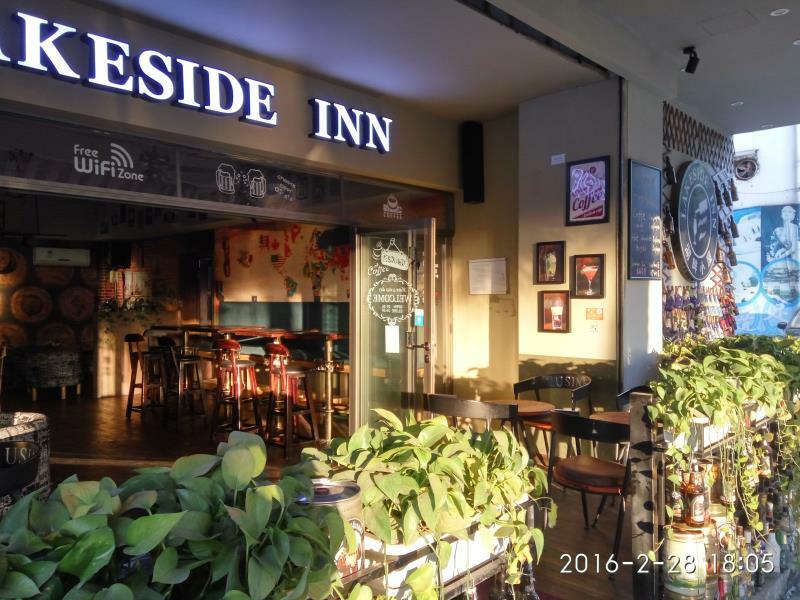 Lakeside Inn is located just a stone’s throw away from the Sun and Moon Pagodas on the banks of Fir Lake. Location wise, you can’t get any better than Lakeside Inn. If you’re looking for a great place to stay within walking distance of all the major sights, Lakeside Inn is where you want to be. In addition to it’s absolutely perfect location, at Lakeside Inn you’ll find clean, comfortable rooms, a cafe and bar that will make you feel like you’re in a proper western pub, free wifi throughout the entire inn, friendly English speaking staff, tour booking services, airport transfer services, and even bicycle rental all available at the hotel. Prices start at $28 USD for a queen bed. Click here to check the latest prices and availability at Lakeside Inn. Zen Tea House Hotel is just that, very zen. 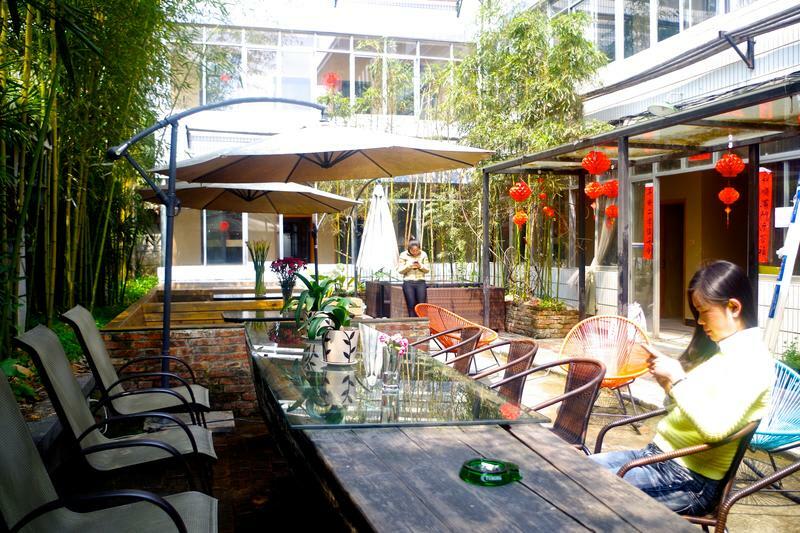 If you’re looking for a place with a really cool vibe that’s beautifully decorated with lovely gardens and comfy seating areas than you should definitely check out the Zen Tea House Hotel. This place is absolutely gorgeous. I feel like I could hang out in this hotel all day just meditating, doing yoga, and enjoying the beautiful atmosphere. For how amazing this place is, you won’t believe how affordable the rooms are. 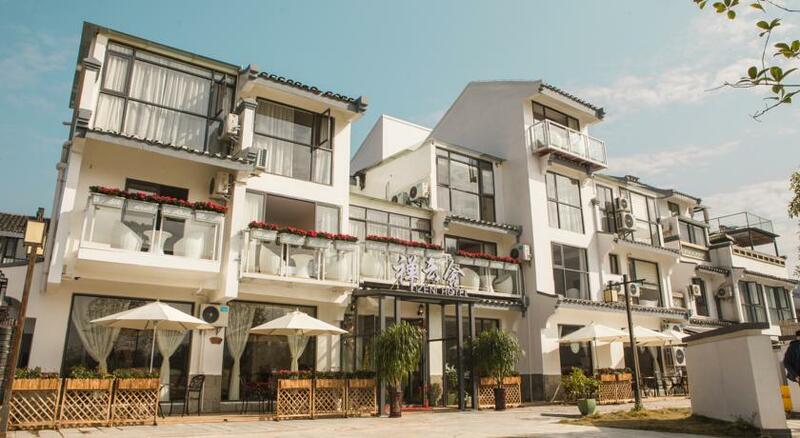 Zen Tea House Hotel is located right next to the popular Seven Stars Park, a must see on your first trip to Guilin, and directly across the river from Zhengyang Pedestrian Street, another must-see hot spot in the city. In addition to its awesome location, at Zen Tea House Hotel you’ll also find clean, spacious, and tastefully decorated rooms, a beautiful garden area to hang out and relax in, a yoga room, free wifi throughout the entire hotel, amazing, friendly staff who speak great English, tour booking services, and bicycle rental services. Prices start at $29 USD for a queen bed. 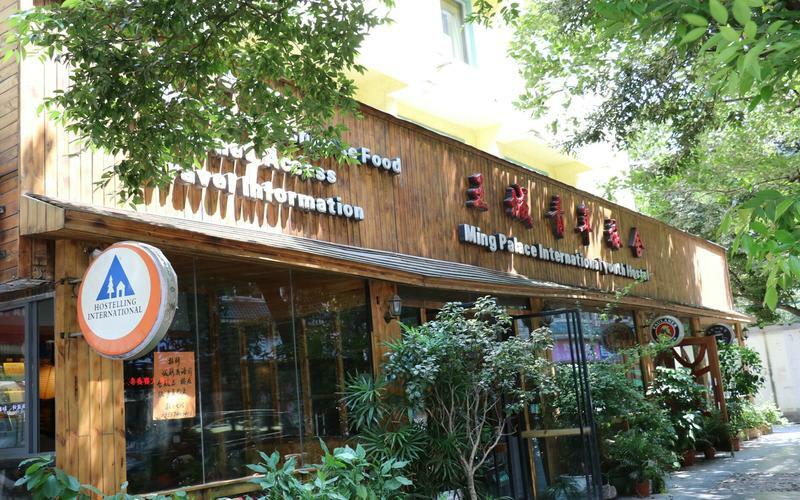 Click here to check the latest prices and availability at Zen Tea House Guilin Seven Stars Park. 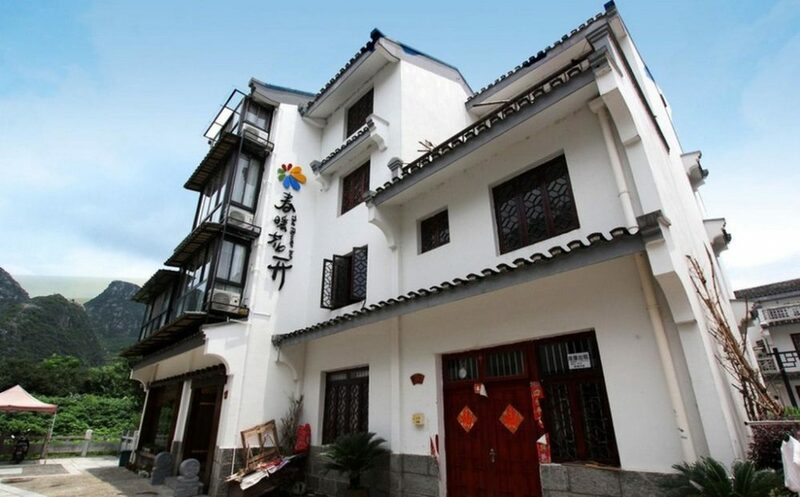 The Flower Inn is located on the outskirts of Guilin near Reed Flute Cave and Xishan Park. Its location makes The Flower Inn great for travelers who want to stay closer to the countryside. The vibe here is more quiet and relaxed than a lot of the places in the city. At The Flower Inn you’ll find nice mountain views, quiet village life, traditional Chinese decor throughout the hotel, clean, spacious rooms, excellent English speaking staff who are more than happy to help you with whatever you need during your stay, free wifi throughout the entire hotel, bicycle rental, airport transfer, and tour booking services. The only downside to staying at The Flower Inn is that it is a bit far from a lot of the sites in Guilin. It’s also located in a “built to look old” tourist village so even though it’s located in a village on the outskirts of town you won’t really get to experience traditional village life. Some people see this as a con, but honestly, as a tourist who can’t speak Chinese, you’ll be glad that the area is built around tourism as the locals there are very accepting and used to dealing with us. Prices start at $28 USD for a king bed. Click here to check the latest prices and availability at The Flower Hotel. Also located on the outskirts of Guilin near the Flower Inn, Moon Flower Hotel is another great option for those looking for a country escape rather than a city stay. Not only is this hotel itself beautiful, but the surrounding scenery is gorgeous. Moon Flower Hotel is a great place to relax and enjoy the unique karst mountains and rivers of Guilin. At Moon Flower Hotel you’ll experience a beautiful hotel with clean, spacious rooms, an onsite cafe and restaurant, free wifi throughout the entire hotel, friendly, English speaking staff, tour booking services, airport transfer, and bicycle rental services. As with The Flower Inn above, at Moon Flower Hotel you will be located outside of the city away from a lot of Guilin’s major attractions. This could easily be both a pro or a con depending on what you’re looking for out of your vacation. Just keep in mind that there won’t be much around within walking distance. Prices start at $30 USD for a twin room. Click here to check the latest prices and availability at Moon Flower Hotel. 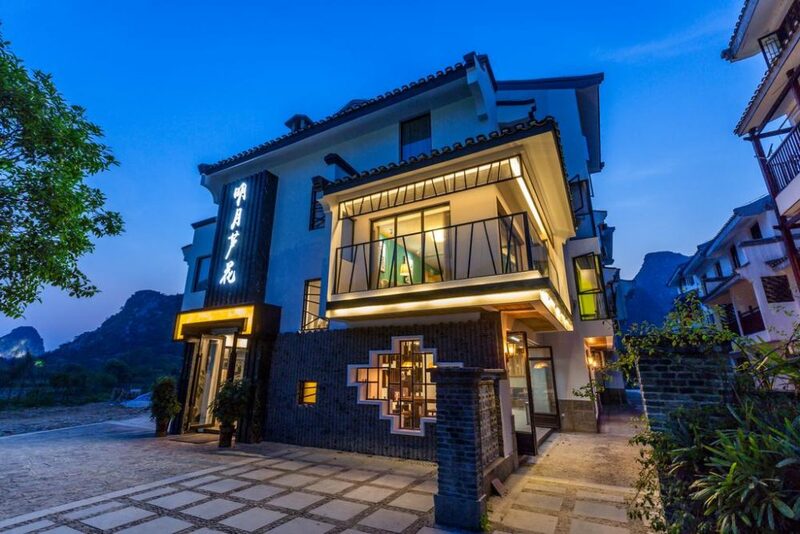 Yet another hotel located in a village on the outskirts of Guilin, Zen Hotel is an absolutely gorgeous property that is perfect for anyone looking for a quiet retreat outside of the city. At Zen Hotel, you’ll love it’s incredibly zen vibe, with beautiful decorations and overall design, big rooms that are clean, functional, and very tastefully decorated, free wifi throughout the entire hotel, a garden, friendly and helpful English speaking staff, an onsite restaurant, tour services, airport pickup services, and bicycle rental services. Zen Hotel looks and feels every bit like a luxury hotel, but at a budget price. Prices start at just $22 USD for a double room. Click here to check the latest prices and availability at Zen Hotel.